All M2M amplifiers and repeaters listed below are compatible with your Videotron service. Videotron M2M Signal Boosters for use in ATMs, lotto & vending machines, remote monitoring systems, etc. Videotron Booster for M2M Machine to Machine Connections & Applications. Are you looking for the best signal booster for machine to machine applications across the Videotron network? With the following different types of M2M signal boosters you can definitely find the one that’ll work for you. Videotron was launched back in 1964 and has never stopped growing since. The Canadian Telecommunication company was buying, modernizing and building Quebec cable networks between 1966 and 1969. It launched Selecto-TV by 1969 before introducing the first ever two-way type of cable service globally in 1974 in Saint Jerome. After acquiring the National Cablevision in 1980, the company became Quebec’s largest cable provider. This culminated in the issuing of shares by Groupe Videotron in 20th November 1985. The company also appeared on the Montreal Exchange. In 1986 the company acquired Tele-Metropole Inc, the largest French lingua private TV broadcaster in the continent. By 1989, Videotron had created a fiber optic network spread over the longest distance from Montreal to Quebec City. Quebecor and Videotron Itee acquired critical advanced wireless’ spectrum licenses in July 2008 through an auction by the Industry Canada for $554,559,000. Through the license, Quebec was covered for a spectrum of 40 MHz on average, including Ontario’s south-east with 10 MHz as well as Toronto with the network launching in 2010 officially. As a result of intense infrastructure investment on the wireless HSPA+ network for three years, the telecommunication company prides in its own critical cellular communication investments. Videotron has around 1,830,400 customers on its cable TV investment and over 1.5 million subscribers on its digital cable line. The company also enjoys 1,408,200 and counting subscribers on its high-speed type of cable network. By September 2013, the company saw mobile phones activation reach 478,000 while continuing its providence of cable telephone solutions to about 1,281,200 users. Videotron revealed its earning results for the second quarter of $992.5 million (in Canadian Dollars). This was an increase of $28.7 million from 2015. The company has also been contributing to the revenue through an increase in subscriber numbers, which was the company’s majority revenue earner at $780.4 million. The mobile service had gone up to 828,900, an increase of 33,200 subscribers within the second quarter. When it comes to Videotron signal boosters there’re four unique types for a home or building. They range from very large area signal boosters, large area signal booster, medium area and small area signal amplifiers. Signal boosters that work with machine to machine applications are diverse. They include Security 4G, Signal 3G and Signal 4G. Security 4G Videotron machine to machine signal booster. 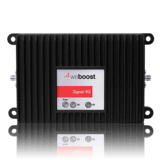 This signal boosters deals effectively with 3G data and 4G data problems easily any time they crop up. It works with different security systems from alarm systems, door-entry security systems and various security platforms as well. This booster is very critical and offers an extra two hour battery life in a weak signal area where it comes into use. It allows you to maximize your security systems whenever you need to at the right place where it’ll work well without the need to find the area with the strongest of signals. Videotron signal 3G machine to machine reception signal booster. Direction connection Signal 3G for M2M applications. A unique signal booster and direct connection kit for diverse machine to machine solutions. It enhances them through the Videotron signal 3G network. The signal booster efficiently benefits diverse systems such as vending machines, cash dispensers among other diverse equipments out there. Direction Connection Signal 3G with Magnet Mount Antenna. The direction connection signal booster kit gives machine to machine solutions the best enhancement throughout the Videotron 3G network. It benefits such systems as cash dispensers and vending machines among other commercial equipment and security systems. Signal 3G Direct Connection with Hardwire Kit. This signal boosters comes with a hardwire kit and critical for machine to machine applications. IT features DC hardwire power supply and if that’s exactly what you need it makes everything seamless. Note that the product enhances signals across the Videotron 3G network. It’s superb for usage by systems that include vending machines, cash dispensers and various commercial systems. Signal 4G Videotron reception booster M2M solutions. One of the best ways of making the most of the 4G LTE advanced network from Videotron includes enhancing it for your M2M installations. This signal booster makes this possible and comes in handy in strengthening the 4G LTE network for better usage of lottery machines, vending machines, cash dispensers and different types of equipments out there without any issue. Direct Connection Videotron Signal 4G with Hardwire Kit. Shipped with a Videotron hardwire kit, the booster is best for the maximization of the Videotron 4G LTE network. The amplifier will be a great selection for any machine to machine installations out there. Use it to enhance lottery machines, cash dispensers and vending machines among others. This hardwire kit comes with a signal gain of 15 dB.